Wine of New Zealand. New Zealand sustainable winegrowing. The Jackson and Stichbury families have farmed the free draining soils of Marlborough's Wairau River plains for more than 160 years. In recognition of John (Stich) Stichbury's pioneering spirit and hard work, the 'Stich' Sauvignon Blanc gained its name. The vines in our Homestead vineyard, planted in 1989, are carefully managed to ensure low yields and are picked in small batches resulting in concentrated fruit. 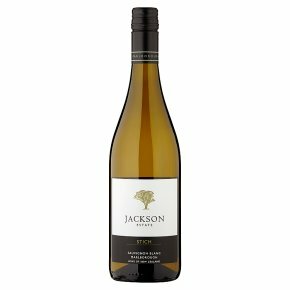 The character of this wine reflects its origins and season, on the nose lifted aromatic notes of zesty citrus and stone fruits and the palate showing lovely rock melon and key lime flavours, with a fine mineral concentration and a refreshingly good crisp acid finish.